Chamber of Commerce and Industry of Serbia has decided to establish the Center for Digital Transformation d.o.o. (CDT). Digital transformation is defined broadly as any change associated with the application of information and digital technologies in all aspects of the establishment and/or operation of (start-up) companies, public sector bodies, associations and human society as such. 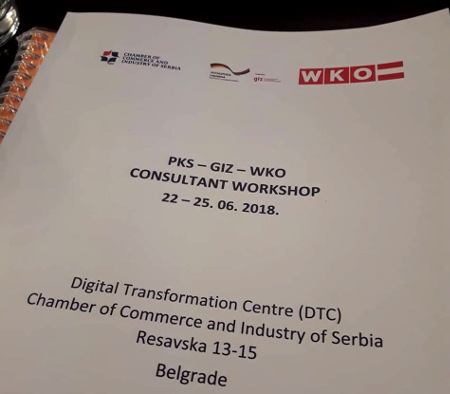 The project for the establishment and development of the Center for Digital Transformation is supported by the GIZ – the German Organization for International Cooperation, as well as the Austrian Chambers of Commerce – WKO. 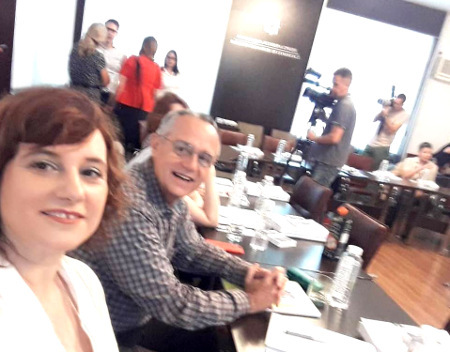 As part of this program, from June 22 to June 24 I have participated in Digital Consultants Certification Preparatory Training Modules – Development of Digital Roadmaps and Digital Transformation (Business Models & Processes).